Amidst the news of online casino and poker gambling being legalized in Pennsylvania, and with several other states pushing for legalization, it appears that many are beginning to embrace the idea of legal and regulated online gambling. However, 2 US Senators recently penned a letter to the Department of Justice calling for the federal government to step in and stop states from what they claim to be an overstepping of boundaries. 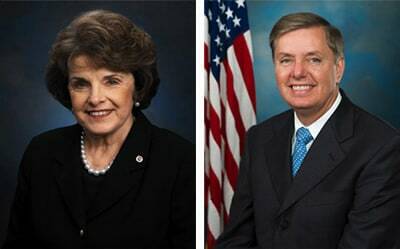 Senators Dianne Feinstein (D-CA) and Lindsey Graham (R-SC) are the people behind this, and they are no strangers to the Restoration of America’s Wire Act (RAWA) efforts. 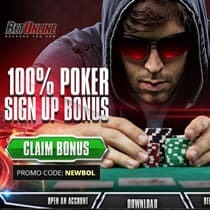 Their success could put Nevada online poker sites that are state regulated as well as the online poker industries in New Jersey and Delaware at risk. Their efforts would likely not affect access to Vegas online poker sites that operate offshore. What is their issue? Both Feinstein and Graham believe that the Federal Wire Act encompasses all forms of online gambling. The US Department of Justice issue a Formal Opinion back in 2011 stating that the law only applies to online sports betting. They also went so far as to grant states the authority to vote in legal online casinos and poker, should they choose to do so. This does not sit well with people like Feinstein and Graham. They believe the federal government should be in control of all gambling efforts. This extremely conservative view on the matter is echoed by supporters of RAWA, which aims to grant the Federal Wire Act full enforcement authority. The only problem is the Federal Wire Act was passed in 1961, when the Internet wasn’t around. The exact wording of the letter states that the DOJ’s 2011 opinion overturned “50 years” of believing the Federal Wire Act applied to all forms of online gambling. If you go back 50 years, there was no online gambling. And, it is a stretch to argue that everyone believed the law applied to all forms of online gambling—the language of the Federal Wire Act includes wire transmissions, which has been vaguely applied to other digital venues. Another argument made by the pair is that the FBI discovered that online casinos are a breeding ground for illicit criminal activities such as money laundering, tampering and more. In actuality, the FBI case study they’re referencing was a broad stroke aiming to identify the possibility of money laundering through online casinos. They determined that illegal offshore gambling was more prone to this type of activity and it was also detectable and preventable. What’s the best way of detecting and preventing crimes with any business venture? Regulation. States like Pennsylvania, Nevada, Delaware and New Jersey (all of which have legalized online gambling) can impart their own regulatory practices to keep things in check. Perhaps the weakest argument the letter makes is that states that have legalized online gambling are “infringing” on states who have not, and should therefore be stopped. Geolocation technology is used to ensure that only residents of states who have authorized gambling can access the sites. To highlight the absurdity of this argument—not all states have legalized marijuana for medical and recreational purposes, yet you don’t see those states being forced to shut down because it is infringing on other states. This whole letter seems more like a pointed conservative agenda than anything else. The DOJ will likely not do anything, and RAWA efforts will continue. With more states trying to push through online gambling, Senators like Feinstein and Graham will lose traction on their case quickly.